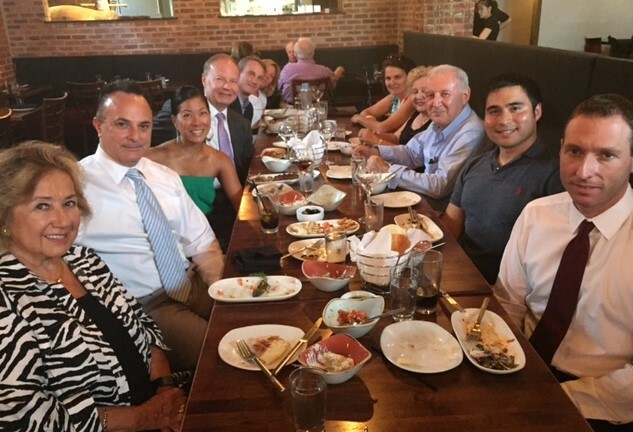 On July 14, 2016, TCA hosted a lunch for representatives of the Turkish American community in Maryland and Kris Valderrama, a Democrat who represents the 26th District in the Maryland House of Delegates and is a member of the Filipino American community. The lunch served to introduce Kris to the Maryland Turkish American community and build on the relationship between Turkish Americans and Filipino Americans in Maryland following the grant that TCA provided to Filipino Americans following the 2014 Typhoon Haiyan in the Philippines. Attendees discussed how the Turkish American and Filipino American communities could work together and continue to move the relationship between the two communities forward.